For Real Estate Agents, WannaBes, UsedToBes, & Those Who Love Them! 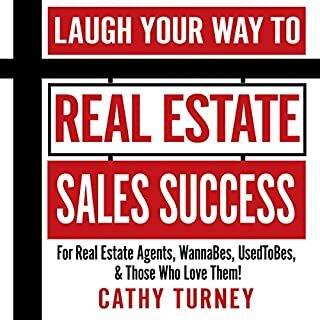 Top-producing real estate broker and award-winning humorist Cathy Turney shows real estate sales people how to reliably achieve and sustain a six-figure income in this laugh-out-loud exposé and how-to book about the real estate sales business. As managing partner at Better Homes Realty in the San Francisco Bay Area, Cathy has seen it all in her 25-plus-year real estate career and ranks in the top 10 percent of all real estate agents in sales production nationally. I enjoyed listening to this audio, but found that it didn't really contain information that is extremely helpful. alot of common sense stuff that might help a beginner agent.